"Christmas Linen" Too rolls out more digital background papers for you to choose from. Is it the Point Print, the Damask, or the Tartan that is the perfect addition to your creation?? These digital background papers are NOT included in the FQB "Christmas Linen" Collection, so please don't miss out! 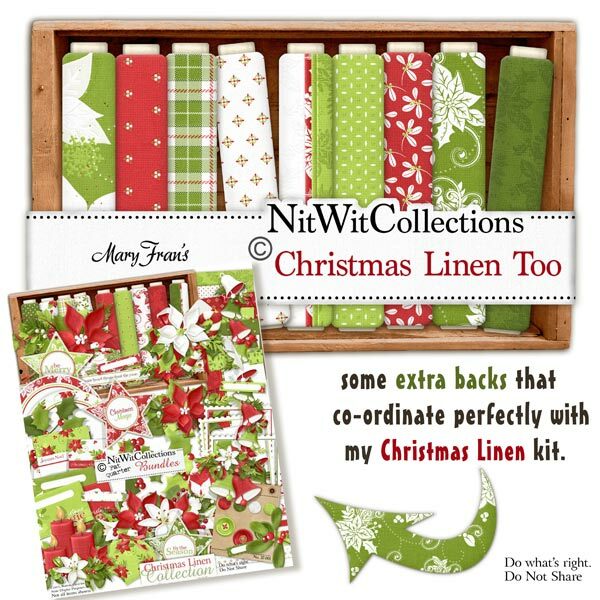 15 digital background papers that coordinate and colour match my "Christmas Linen" Collection.